I've used this app several times to watch live TV and several NBA games as it's pretty handy on my iPhone and Android devices. The Blink App which is available in the Apple Store and Google Play is the best local video on demand streaming service in the country. Add to that the site www.blink-now.com and a gigantic array of Hollywood movies, TV series and live cable channels, this is just something you can't live without if you're indulgent in watching shows. The problem though lies in paying for it, but I think this news might be just the answer to your questions. The country's biggest network Smart Communications has just recently partnered with Solar Entertainment so that you would be able to access their services even without the need for credit cards. How? That's easy. 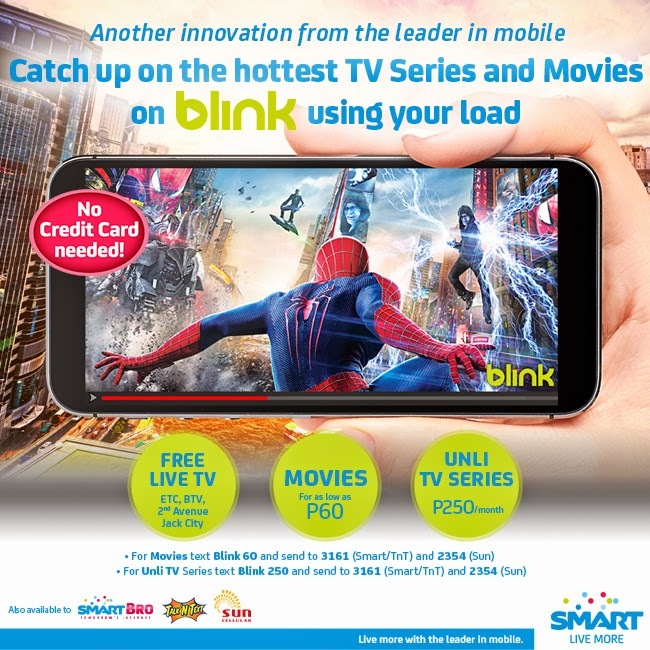 Grab your smartphones and Text the keyword BLINK 60 for catalog movies, BLINK 90 for new movie releases and BLINK 250 so you can have unlimited access to all TV series to 3161 for Smart and TalkNText or 2354 for Sun. After texting, you'll receive a confirmation for the purchase and the ePIN which you can use as a promo code. 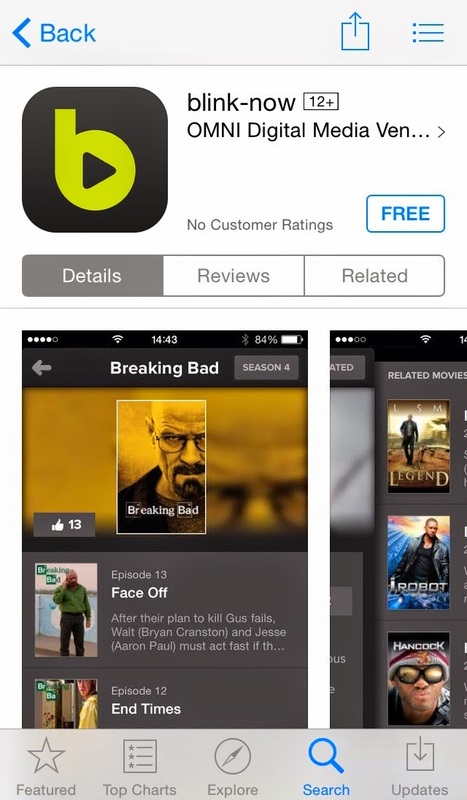 Proceed to the www.blink-now.com website or your Blink-Now App and watch your favorite shows wherever, whenever. This means, you don't need a credit card to purchase it and just get access paying with your prepaid load or postpaid bill instantly. Convenient, I know. The deal is, can you see the possibilities now that you can do it on these channels?! Exactly. If you are in EDSA and stuck in traffic, or chilling at home while it's raining, even when there's no electricity... you can only think of one thing if you want streaming right. Go make yourself useful and make your smartphone your window to the world. It's this easy because it's Smart! Check out their BLINK offers here!